Reproduction cream 100% cotton fringe as original for Westfalia pop top roof. 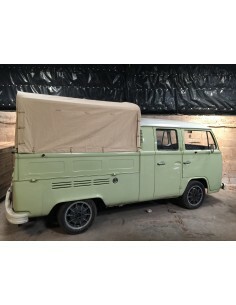 Suitable for 1968-1979 VW T2 Westfalia pop top roof. Welcome to our NLA VW Parts web shop. Our brand name “NLA VW Parts” stands for No Longer Available VW Parts. This stamps our strength in reproducing classic VW parts that are no longer available from conventional sources. First of all, I would like to say THANK YOU to all our wonderful VW owners and loyal customers who have supported us over the past years. We all live in a changing world. With Brexit going ahead, we are facing huge challenges on Sterling Pound devaluation and potentially international trade barriers. However, based on our huge investments on tooling for classic VW parts, we are very confident on keeping high levels of services to supply you “hard to find” classic VW parts. At NLA VW Parts, we never stop researching and developing the most sought after No Longer Available VW parts. We spend a lot of time and effort on sourcing the best available raw materials, and we invest a lot on tooling to manufacture identical reproductions in order to offer the highest standard in quality and the most accurate finish to the originals, and the lowest affordable prices to all our customers. Keep all Volkswagens on the road forever! It was a wet and very cold winter in Hungary, my car was sleeping 4 months in the cover. Yesterday I opened it...my car was absolutely dry and clean under the cover. It works perfectly, and it has a very nice looking, like a spaceship. Thank you for your recommendation ! We were in Wanroij at the IKW in the netherlands. 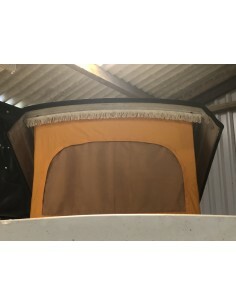 In my opinion the Quality of the Awning is very good. The several Details are very nice. 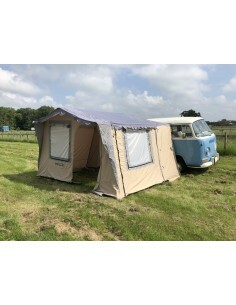 I Think it is the Best Alternative to the Original Westfalia Awning of the 70's. The Awning is very well liked. There are a lot of interested questioners. I gave them your online shop Address. Some are very interested and maybe they will Buy an Awning, too. NLA VW Parts research, develop, design, improve, innovate and produce 95% of our products. 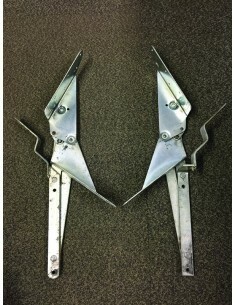 As the producers and stockists of NLA VW parts, we can offer you the competitive rates & fast dispatch. Our products are the best available on the market, high-quality controls in all areas of production. 12-month warranty on all our parts. Shopping with NLAVW is both secure and safe. We also offer telephone payments. We Offer Free Delivery on Orders over £50 to Mainland England & Wales. Extra Long Length Items & Extra Fragile Items may incur a packaging & postage surcharge. Wholessale accounts available!. We currently offer trade accounts to all UK businesses. Need help fitting your parts? We have a great team of fitters at our warehouse based in Warwickshire.